Ronald S. Kozlowski, of Richmond, Virginia, has been elected chair of the Library Board. Kozlowski is a retired librarian. Kozlowski, who was appointed to the Library Board in 2006 by Governor Tim Kaine, earned his bachelor’s degree from Illinois State University and his master’s degree in library science from Dominican University. From January through August 2005 he was interim director of the Richmond Public Library. He began his library career as director of the West Florida Regional Library in Pensacola and has served as director of the Louisville Free Public Library, Charlotte-Mecklenberg County Public Library, Cuyahoga County Public Library, Miami-Dade County Public Library, and Anne Arundel County Public Library. Library Board members are appointed by the governor and serve five-year terms. They are eligible for reappointment. Clifton A. “Chip” Woodrum III, of Roanoke, Virginia, was elected vice chair of the Library Board. He was appointed to the Library Board in 2004 by Governor Mark Warner and reappointed in 2009 by Governor Tim Kaine. 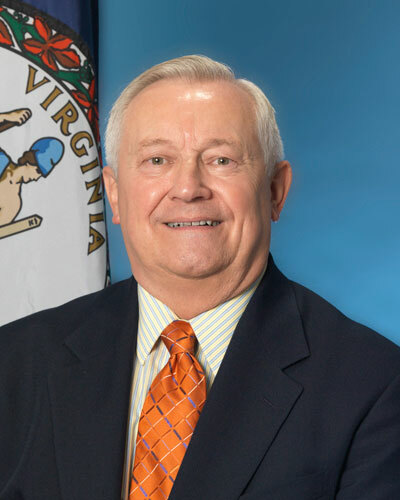 Woodrum served in the House of Delegates from 1980 until 2003. He earned his undergraduate degree at the University of North Carolina and his law degree from the University of Virginia. Vote now for the 2010 Whitney and Scott Cardozo Award for Excellence in Children’s Literature. This award is given each year for a children's book published the previous year, and will be presented at the 2010 Library of Virginia Literary Awards on October 16. The finalists were selected by a panel of judges, but the winner is up to you! Vote online now through August 20 at http://www.lva.virginia.gov/public/litawards/vote.asp. Governor Robert McDonnell's executive order on January 16, 2010, created the Commission on Government Reform and Restructuring, which he charged with streamlining state government and making it more efficient. Previous Virginia governors have also explored government effectiveness and efficiency. Late in the 1920s Governor Harry F. Byrd Sr. carried out changes that set the state's modern template for government. In 1990 Governor Gerald Baliles's Commission recommended ways to improve government operations, in 1994 George Allen's Blue Ribbon Strike Force investigated similar ground, and in 2002 former Governor L. Douglas Wilder's Commission on Efficiency and Effectiveness outlined numerous suggestions for consolidation and improved efficiency to Governor Mark R. Warner. In response to numerous requests for information on these commissions, the Library of Virginia, the reference library at the seat of government and the official state archival repository, is pleased to announce the online availability of eight previous reports documenting ways to improve the organization and efficiency of state government. The reports can be viewed at Government Reform Commission Reports (http://www.virginiamemory.com/collections/whats_new). Becoming a Semper Virginia Society Member Is Now Easier than Ever! The Library of Virginia Foundation has a new, secure online donation page to make becoming a member easier than ever. Your gift goes directly to our collections and programs—it will used to purchase valuable titles for the collection, acquire rare Virginia maps and documents, conserve our treasures, and produce inspiring educational programs. Support from our members is a vital part of what keeps the Library of Virginia strong. Please consider the benefits (including discounts to the Virginia Shop and more) and become a member or renew your membership today! For the first time the conference will offer two Thursday-afternoon workshops: “Creating a World in a Short Story” with Clifford Garstang and “Creating a World in a Short Story” with Michelle Brower. Workshops will be held from 2:00 to 4:00 PM and are only open to registered conference attendees. Each workshop will have a maximum of 20 participants. The workshop fee is an additional $40. Early registration is $175; after September 1 the cost is $195. The 2011 Virginia Forum will be held on the campuses of Virginia Military Institute and Washington and Lee University in Lexington, Virginia. The Virginia Forum is interdisciplinary and welcomes proposals from scholars, teachers, and historical professionals in all fields. The theme, “Different Virginias,” is comparative and invites scholars to submit papers about all aspects of Virginia life, history, and culture. The forum will also offer sessions or workshops on teaching Virginia history, digital history, museums, and libraries. The Virginia Forum invites proposals from fields including all the arts and sciences: economics, politics, geography, law, literature, history, archaeology and anthropology, environmental history, museum and library studies, preservation, and others. One-page paper proposals and one-page curriculum vitae should be submitted to ashworthj@wlu.edu by September 15, 2010. Proposals for complete panel sessions, workshops, etc., should include a one-page description of the overall session, as well as a separate, one-page description for each individual presentation in the session. Additional information is available online at www.virginiaforum.org. At its annual meeting in June the State Library Board approved a bylaws change saying that there shall be no fewer than four and no more than 12 regular meetings of the Library Board each fiscal year. Prior to the adoption of the change, the Board met five times a year. Special meetings of the Board may be called at any time by or at the direction of the Chair or upon the written request of five members of the Board. The reduction in the number of meetings will save the Library of Virginia money during this time of reduced funding. September 20, 2010; January 24, 2011; April 11, 2011; and June 27, 2011. Meetings of the Board are open to the public. The Friends of the Virginia State Archives is pleased to announce that Claire Bettag will present its annual Slatten Lecture at the FVSA annual meeting and conference to be held on Saturday, September 11, 2010, at the Library of Virginia, with registration starting at 8:30 AM. Claire Bettag, a distinguished national genealogical speaker, will deliver lectures on "Genealogical Gems in the U.S. Serial Set"; "Treasure in the Library of Congress – the Manuscript Collection"; "Extra! Extra! Hear All About it! Newspapers at the Library of Congress"; and "Your Own Worst Enemy? Assumptions in Genealogical Research." The cost of the conference (including lunch) is $25 for FVSA members and $35 for nonmembers, with a combined new membership and conference rate of $45. Reservations must be received by September 9 to guarantee lunch. Reservation requests can be sent to FVSA, P.O. Box 4804, Richmond, VA 23220, indicating that payment is for the Slatten Lecture conference. The Friends of the Virginia State Archives is a nonprofit organization created to encourage archival and genealogical research at and support for the Library of Virginia. FVSA's Slatten Lecture series is named in memory of Richard Slatten, a prominent Virginia genealogist who was a former president of the Virginia Genealogical Society and longtime editor of its journal. The Slatten Lecture series has been funded over the last decade by grants from the Richard Slatten Endowment for Virginia History of the Community Foundation of Richmond, Virginia. On July 7 the Pew Internet & American Life Project released Mobile Access 2010, a report by Aaron Smith. Cell phone and wireless laptop Internet use have each grown more prevalent over the last year. Nearly half of all adults (47 percent) go online with a laptop using a Wi-Fi connection or mobile broadband card (up from the 39 percent who did so as of April 2009), while 40 percent of adults use the internet, e-mail, or instant messaging on a mobile phone (up from the 32 percent of Americans who did this in 2009). This means that 59 percent of adults now access the Internet wirelessly using a laptop or cell phone—that is, they answered “yes” to at least one of these wireless access pathways. That adds up to an increase from the 51 percent who used a laptop or cell phone wirelessly in April 2009. African Americans and English-speaking Latinos continue to be among the most active users of the mobile Web. Cell phone ownership is higher among African Americans and Latinos than among whites (87 percent vs. 80 percent) and minority cell phone owners take advantage of a much greater range of their phones’ features compared to white mobile phone users. In total, 64 percent of African Americans access the Internet from a laptop or mobile phone, a seven-point increase from the 57 percent who did so at a similar point in 2009. Young adults (those ages 18–29) are also avid users of mobile data applications, but older adults are gaining fast. Compared with 2009, cell phone owners ages 30–49 are significantly more likely to use their mobile device to send text messages, access the internet, take pictures, record videos, use e-mail or instant messaging, and play music. The Grants Review Board for the Circuit Court Records Preservation Program (CCRP) met on May 19, 2010, at the Library of Virginia. Following the evaluation of 40 grant applications, the Grants Review Board decided to fund 37 applications. For the first time in over 20 grant cycles, the application process was competitive. The 40 applications were received from 37 localities, and totaled $349,931 in requests. The awards were made to 35 clerks' offices for a total of $291,799. These offices will conserve historical volumes and papers, reformat records, install camera security systems, procure records storage equipment, purchase reader/printers, process marriage records, index death records, and one will continue a records-processing project. A complete list of awards can be found in the May 19 Grants Review Board meeting minutes at http://www.lva.virginia.gov/about/staff/ccrp_minutes.asp. For those who might be unfamiliar with this program, the General Assembly enacted legislation in 1990 that increased the cost of recording land transactions. One dollar of this increase was earmarked for the preservation of circuit court records. With an increase in the allotment in 2001, the legislation, as amended, now reads: One dollar and fifty cents of the fee collected for recording and indexing shall be designated for use in preserving the permanent records of the circuit courts. The sum collected for this purpose shall be administered by the Library of Virginia in cooperation with the circuit court clerks. That cooperation comes in part from the clerks who sit on the Grant Review Board and provide their expertise on court records. The clerks serving during the 2009–2010 term are Paul Ferguson, Arlington County; Karen Butler, New Kent County; and Tom Roberts, City of Staunton. The Board is rounded out by interim State Archivist Suzy Szasz Palmer and Local Records Services director Carl Childs. After almost 20 years as the grants administrator/coordinator and facilitator for the review board, Glenn Smith has been reassigned as a records analyst, still within the Archival and Records Management Services division. “My years of supporting the clerks in their endeavor to preserve the permanent records housed within their offices has been challenging and rewarding,” Smith said. The reassignment came about as part of the Library’s overall reorganization to meet the current budget restraints and staffing realignments. The clerks will be a core customer constituency of Smith’s, and he looks forward to continuing to serve them, as well as many other state and local government records officers, in his new capacity. The Institute of Museum and Library Services and the Bank of America Charitable Foundation are pleased to announce the 2011 guidelines for the American Heritage Preservation Program. This public-private partnership will fund the preservation of endangered and fragile artworks, rare books, scientific specimens, and historical documents (photographs, maps, deeds, etc.) held in small and medium-sized museums, archives, and libraries. The grants of up to $3,000 are aimed at completing stand-alone conservation projects that convey the essential character and experience of the United States. To access application guidelines instructions, please visit www.imls.gov/collections/grants/ahpg.htm. Examples of fundable projects are provided in the grant guidelines. For questions about museum projects, please contact Christine Henry, senior program officer, at 202-653-4674. For questions about library or archival projects, please contact Kevin Cherry, senior program officer, at 202-653-4662. The deadline for application is September 15, 2010.